This small glass lamp will enhance most any room. 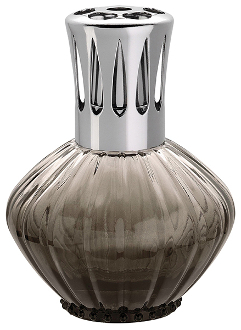 The Corolla Gray lamp comes in a nice Lampe Berger gift box with funnel, instructions, burner and tops. Height 5"